Sculptra Aesthetic is a new type of facial injectable made from poly-L-lactic acid, which corrects shallow to deep facial wrinkles and folds that appear with aging by replacing lost collagen. The main ingredient is a biocompatible, biodegradable synthetic material that has been used by physicians for decades in absorbable stitches and as an injectable since 1999. Sculptra Aesthetic is not an overnight miracle. It takes time to work, but is long lasting. 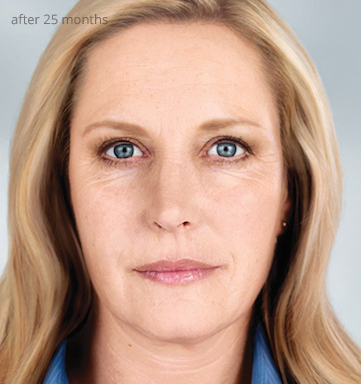 Unlike traditional fillers, Sculptra gives you subtle results over time. Replacing lost collagen, Sculptra gives gradual improvement without appearing like you’ve had a cosmetic procedure done. A full treatment of Sculptra Aesthetic, an average of three injection sessions over a few months, can last up to two years. The number of injection sessions and the number of injections per session vary from person to person. Collagen is a key structural component that keeps skin youthful looking and smooth. As you age, your body’s collagen production decreases, and you may begin to see wrinkles. 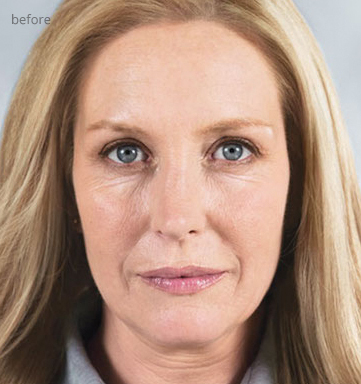 Sculptra Aesthetic works to correct shallow to deep facial wrinkles and folds as it replaces lost collagen, which can help provide a refined, more youthful looking appearance. Within the deep dermis, your skin’s structure is reinforced as Sculptra Aesthetic helps to replace lost collagen. This reinforced collagen structure provides a foundation that gradually restores the look of fullness and improves your shallow to deep facial wrinkles and folds. The result? 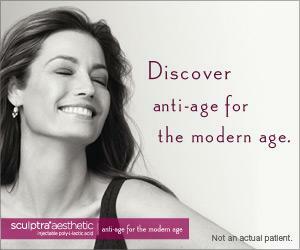 Sculptra Aesthetic is different because it gradually and subtly corrects these facial wrinkles. This can provide a refined, more youthful looking appearance that can last up to two years. The main ingredient in Sculptra is poly-L-lactic acid, or PLLA. PLLA has been used safely for decades in dissolvable stitches, and as a facial injectable in Europe since 1999. It’s been in use in the United States since 2004. The body gradually and naturally absorbs poly-L-lactic acid as it lays down new collagen. Is Sculptra natural? Will getting the injections harm my body? The main ingredient in Sculptra is poly-L-lactic acid, or PLLA, a synthetic material. It is not made from human or animal sources. It is biocompatible, which means it will not harm your body. It is also biodegradable, meaning the body can easily break it down. PLLA has been used in dissolvable stitches and medical implants for more than 25 years. Do I need an allergy or skin test? No skin testing is required prior to using Sculptra. Sculptra targets the underlying causes of the signs of facial aging. It can give you noticeable results that emerge subtly and can last for up to 2 years. It begins to work within the deep dermis, where your skin’s structure is reinforced as Sculptra helps to replace lost collagen. This reinforced collagen structure provides a foundation that gradually restores the look of fullness and improves your shallow to deep facial wrinkles. The result? Sculptra is different because it gradually and subtly corrects these facial wrinkles and folds. This can provide a refined, more youthful-looking appearance that can last up to two years. How does facial collagen loss affect my appearance? Collagen loss is a key factor in aging. Collagen acts as a support structure for your skin. As time goes on, collagen isn’t replaced as readily as it once was. 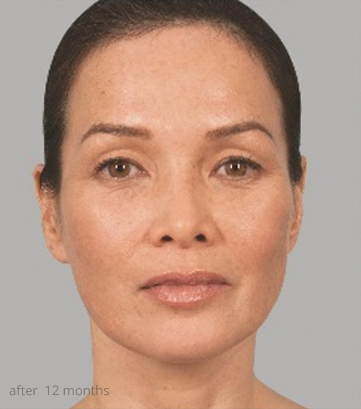 Sculptra works by gradually replacing lost collagen to help correct shallow to deep facial wrinkles and folds. And it gives you long-lasting results that can last for up to two years. Of course, individual results may vary. Sculptra treatment regimens vary according to individual needs, so the cost will depend in part on the number of visits needed and the amount of Sculptra required. During your consultation, your physician will give you a facial assessment and you will be provided with an estimate. When considering cost, it is also useful to consider how long specific treatments last. With Sculptra, the results can last up to two years. Of course, results and treatment sessions vary per patient. While considering your options, remember the length of time you’ll enjoy the results can be weighed against the cost of treatment. Sculptra is not a traditional filler. It is different because it gradually and subtly corrects shallow to deep facial wrinkles and folds, creating a refined, natural-looking appearance. It can provide results that can last up to two years. What’s the difference between traditional fillers (collagen or hyaluronic acid) and Sculptra? Sculptra is different from traditional fillers. Traditional fillers plump up the wrinkle. Unlike fillers that use collagen or hyaluronic acid to fill the space below wrinkles, Sculptra begins to work within the deep dermis, where your skin’s structure is reinforced as it helps to replace lost collagen. This reinforced collagen structure provides a foundation that gradually restores the look of fullness of your shallow to deep facial wrinkles and folds that have depleted over time. The result? 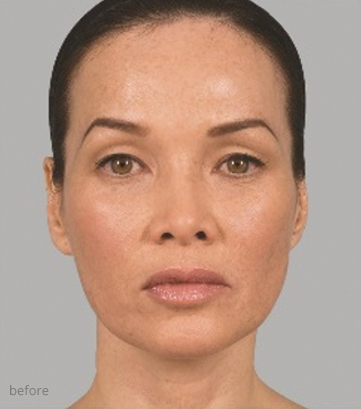 Sculptra is different because it gradually and subtly corrects these facial wrinkles and folds. How do I know if Sculptra is right for me? With all the treatment options out there, it’s important to know what you want to get out of your treatment. If you want a look that’s not obvious and doesn’t look like you’ve had work done, then Sculptra may be right for you. Sculptra works gradually to replace lost collagen. It can give you noticeable results that emerge subtly and can last up to two years. Of course, individual results may vary. If any of these benefits are important to you, then you may want to call for a consultation at The Woodruff Institute. I want to soften my facial wrinkles, but I want it to look natural. What treatment do you recommend? If you’re looking for gradual effects that work over time, then Sculptra may be a good option for you. Unlike some injectable treatments that can start filling facial wrinkles and folds almost instantly, Sculptra gradually replaces lost collagen. The gradual results are natural looking and can last up to two years. Of course, individual results may vary. Is there any type of “prep work” I’ll need to do before my treatment? Should I tell my physician what medications I’m taking? Yes. You should tell your physician about all the medicines you are taking, even over-the-counter medicines or treatments. If you are taking blood thinners or medications that may interfere with clotting of the blood, such as aspirin, you might be more likely to have bruising or bleeding at the injection site. What are the treatments like? How long do they take? Treatments with Sculptra typically take 15-30 minutes. Immediately before treatment, the area where the injections will be given is cleaned with an antiseptic, and a local anesthetic cream may be applied. Then, using a very fine needle, Dr. Sonne injects small amounts of Sculptra beneath the surface of the skin. Multiple injections will be needed. After the treatment session, the areas where you were injected will be massaged. Dr. Sonne will describe the aftercare routine that he recommends for you. How many visits or injections will I need? The number of treatment sessions, the length of treatment, and the amount of Sculptra needed differs for each person. Dr. Sonne will create a regimen that works to meet the unique needs of your face. On average, treatments are given in 3 sessions over a period of a few months. As with any injection, injections with Sculptra do cause some discomfort. At The Woodruff Institute, Sculptra is injected in small amounts using a very fine needle after topical numbing cream is applied. Some find the treatment painful while others feel no pain or discomfort whatsoever. If I get Sculptra, will I suddenly look different overnight? Sculptra gives you a more youthful-looking appearance by providing results that emerge subtly and can last up to two years. It works within the deep dermis, where your skin’s structure is reinforced, replacing collagen lost during the aging process to smooth out facial wrinkles and folds. This can provide a refined, more youthful-looking appearance that can last up to two years. Of course, individual results may vary. In a study, 100% of patients showed improvement in wrinkles and lines at 3 weeks after their last injection. Of course, individual results and treatment sessions may vary. How long do the results from Sculptra usually last? Typically, results can last up to two years. Of course, individual results may vary for each patient. What are the typical results and are people usually satisfied with the outcome? In a key study, 99% of patients showed improvement in wrinkles and lines at 3 weeks. After a little over 2 years, 80% of patients were satisfied with their treatment results. They rated their results as good, very good, and excellent – 80% includes satisfaction scores of good, very good, and excellent. Immediately following a treatment session with Sculptra, bleeding, itching, redness, swelling, pain, bruising can occur in the treated area. These signs usually go away in a few hours to a few days. We will give you specific aftercare instructions. Make sure you massage the treated area per our instructions. Within the first 24 hours after treatment, apply an ice pack to help reduce swelling. Please let us know if symptoms worsening or are longer-lasting. If the swelling doesn’t go away after a few days, should I get in touch with my physician? Definitely. You should report any worsening or longer-lasting signs or symptoms to your physician. How many treatments will I need before I see results? Most patients at The Woodruff Institute require three Sculptra treatments. Most patients begin to see results after a few weeks. If I need more treatments, how soon should I make a follow-up appointment with my physician? Based on your individual progress, your physician can tell you if you need additional Sculptra sessions. To get the full effect from Sculptra, you should complete the number of treatment sessions recommended by your physician. If additional treatments are necessary, we can schedule those for you. Is it normal for patients to go back and get more injections? Yes, it’s normal. Your physician will determine how many treatments you’ll need depending on your individual needs. Sculptra works over time, so the full treatment takes an average of 3 sessions over a few months. How quickly can I return to my daily activities? Can I go out in public after treatment? Will my face be red? Sculptra treatment usually involves minimal downtime. Patients are generally able to resume their normal daily activities as soon as their treatment is complete, though you may choose to wait until swelling or redness fades. Makeup may be applied a few hours after treatment if no complications, like bleeding, are present. If there is swelling, should I apply ice after treatment? And if so, for how long? Within the first 24 hours after your treatment, apply an ice pack to the treatment area to help reduce swelling. The swelling is gone and I’m not seeing results. Is this normal? A few days after treatment, when swelling is gone, you may look as you did before treatment. This is normal. Remember, Sculptra works to gradually replace lost collagen. Everyone is different, but visible results typically begin to appear after a few weeks. I’ve heard that small bumps can form under the skin with Sculptra. How common is this? In a study, 19% of patients had small bumps under the skin in the treated area. These bumps may not be visible, and you may notice them only when you press on the treated area. These tend to happen within the first 6 to 12 months after the first treatment. Occasionally, these bumps go away on their own. Visible bumps, sometimes with a delayed onset and with redness or a color, have also been noted and most resolved without treatment. What other side effects might I see from the treatment? The most common side effects with the use of Sculptra include injection-related side effects at the site of the injection, such as bleeding, tenderness or pain, redness, bruising, or swelling. These side effects generally last, on average, 3 to 17 days. Can I go in the sun after treatment? Sensible sun precautions are always recommended to anyone living in Southwest Florida. Treatment with Sculptra should not increase your sun sensitivity. What are the after effects of the injection? How long will it be until I look “normal” again? After your physician performs Sculptra treatments, patients are typically up and around in a few minutes. At first, there will be some swelling caused by the injections and the extra water used to dilute the Sculptra. This will go away in a few days as your body absorbs the water. You may also experience some discomfort, tenderness, bleeding, or bruising at the injection area. This, too, will disappear within a few days to a couple of weeks.